Washington D.C. is both an interesting state -- and a frustrating one – for poker players. It’s interesting because at one point they legalized online poker, only to go back and repeal the law. It’s frustrating because they were so close to legal online poker, and now they don’t have legal online, social or live poker games. Residents are pretty much out of luck, unless they don’t mind breaking the law, or traveling to a neighboring state to play. Playing Poker Legally in Washington D.C.
Is Online Poker Legal in the District of Columbia? Washington D.C. does not have any laws specific to online gambling. However, the highlighted portion in the following statute could very well apply to your computer, tablet, phone or even the casino’s software. Your internet connection and equipment even. Whoever shall in the District set up or keep any gaming table, or any house, vessel, or place, on land or water, for the purpose of gaming, or gambling device commonly called A B C, faro bank, E O, roulette, equality, keno, thimbles, or little joker, or any kind of gaming table or gambling device adapted, devised, and designed for the purpose of playing any game of chance for money or property, or shall induce, entice, and permit any person to bet or play at or upon any such gaming table or gambling device, or on the side of or against the keeper thereof, shall be punished by imprisonment for a term of not more than 5 years. It’s difficult to say whether or not this is enough for you to look over your back in fear of the poker-police. There’s no clear answer as to whether or not poker is considered a game of chance, either, which would void this statute or give it some legs to stand on. Furthermore, when you consider that the district at one point legalized online poker, then repealed the law, you have to wonder if that’s supposed to mean they’re against you playing online, or that they don’t care either way. Home poker games are a catch 22 for players. It’s appears to be legal to play, however, it’s illegal for someone to run a home poker game, sticking residents between a rock and a hard place. § 22-1705. Gambling premises; definition; prohibition against maintaining; forfeiture; liens; deposit of moneys in Treasury; penalty; subsequent offenses. 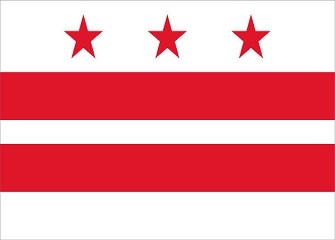 (a) Any house, building, vessel, shed, booth, shelter, vehicle, enclosure, room, lot, or other premises in the District of Columbia, used or to be used in violating the provisions of § 22-1701 or § 22-1704, shall be deemed "gambling premises" for the purpose of this section. While there aren’t any consequences for players, the consequence for running a game is 5 years (or less) of jail time. I don’t suppose you know of anyone that is willing to take one for the team and host the next get together, do you?! Do Casinos in Washington D.C. Offer Poker? Washington D.C. has no casinos. Players will have to go to neighboring states, such as Maryland or West Virginia, to play brick and mortar poker. We receive questions regularly about the legalities of online gambling within the boundaries of D.C. Instead of answer each email individually, we thought that it would be more efficient and helpful to post those questions and our answers here. Will online poker be regulated in Washington D.C? Prior to Black Friday D.C. passed a law that would legalize online poker within the boundaries of the district. Unfortunately, this wasn’t favorable to anyone that played more than a couple of games per week, as there was a $250 per week limit. It didn’t matter, though, because there was a 10-2 vote to repeal the law in February 2012. Considering this, we don’t expect Washington D.C. to regulate online poker anytime soon. Is there an online poker room that accepts players from Washington D.C.? Yes, although the options are limited. D.C. residents are not able to play on any site on the Revolution Gaming or Merge Network. Other sites, including Bovada, BetOnline and Sportsbetting.ag are ok.
What other forms of regulated gambling is offered in Washington D.C.? Washington D.C. runs a lottery, and allows residents to run/participate in charitable lotteries, raffles, bingo games and Monte-Carlo nights. Where can I read more about Washington D.C. poker laws? Here are some interesting facts about poker and gambling in Washington D.C.
Former president Warren G. Harding lost the White House’s china gambling on a hand of cards. Cole ‘CTS’ South, online poker pro, high stakes regular and Leggo Poker coach, currently resides in Washington D.C.
You can sue to recover your losses and costs if you lose more than $25 in an illegal gambling session.